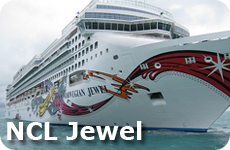 NCL Cruise Lines - Freestyle cruises with Norwegian Cruise Lines - Our favorite cruise line! NCL Cruise Line have transformed their company and their ships to offer only Freestyle Cruises. Will you like Freestyle Cruises? Flexibility - You can eat when and where you want - great for kids - don't have to rush back after a shore excursion for a set time for dinner. 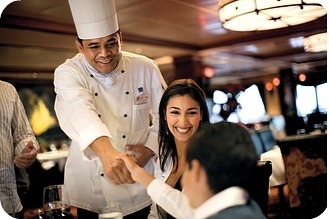 Many different types of food and dining options - Asian to Tex Mex to French Cuisine to Steakhouses. Kids report great times in the Kids Crew. Embarkation and Disembarkation is easy and quick. - You don't have to get off of the ship until 10:30 (most of the time). You also have the option of taking your own luggage off so you don't have to search for it at the pier. Prices for overall cruise seem to be lower - and then you pay for extras if you want them on board or for a suite. So you get to choose how to spend your money, instead of paying one price and paying for things or activities that you don't use. Romantic or quiet dinners in Specialty restaurants - Less kids seem to frequent these restaurants. Higher levels of service in the specialty restaurants as they are usually working for their tips directly. Don't get stuck with tablemates you don't particularly want to eat with or eating at the same time every day. 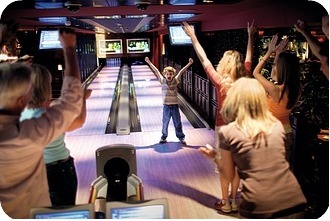 Different activities then other cruise lines - like Bowling and 2 story Wii games. Many different options in cabin selection - if you want a basic cabin as you are never in it - you can save money. Or pay extra for a suite - with a butler, concierge and private suite areas - the choice is yours. Great entertainment - and variety - Broadway shows to second city to theme parties. 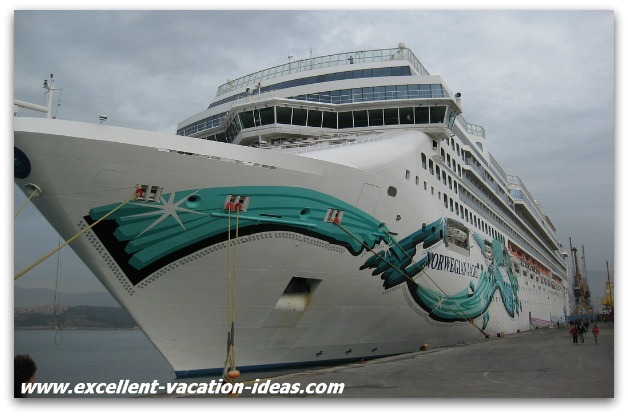 These are what I think are the top disadvantages to NCL cruise lines freestyle cruising. Sometimes its hard to get reservations at certain restaurants if the ship is full - NCL has recently put up screens throughout the ship to show you if there are waits for restaurants or if there is space available. Have heard complaints of service for inside and outside cabins and in some of the dining rooms. Make sure if this happens you bring it to someone's attention while on the ship as NCL cruise lines takes these complaints seriously. If you are unaware of how the freestyle system works it can be frustrating - especially at first. Dining options in main dining room can be limited and in our opinion, the food isn't that good. If you love traditional cruising you may not like freestyle. There may be many lines to get a reservation, shore excursion or table for dinner. Will You Like NCL Cruise Lines Freestyle? 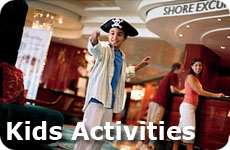 Will you like NCL Cruise Lines' freestyle program? Only you will know. We have listed the advantages and disadvantages above. I think what it comes down to is this: If you are a true blue cruise fan and love the "traditional" cruise experience, then chances are you won't like freestyle cruising. 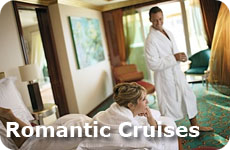 Stick with Princess Cruises or Celebrity. My sister tried the Norwegian Pearl recently, and didn't like the experience. She enjoyed the cruise but would prefer to to go back to "traditional" cruising. She said that she didn't like that she didn't eat in the same place every night, or get to know her waiter. She likes going to dinner at the same time and not having to worry about it. She said it made her feel more taken care of. She didn't like that you had to pay extra for restaurants etc. We will be trying out the Pearl in March of 2012, so we will report back and see what we think. Warren and I always look to NCL and freestyle first. So I guess it is up to you and what you like. Worse case scenario - if you are curious, take a short cruise with NCL. Try it out. And make sure you come back and tell us what you think!